Good morning! Good afternoon! Good evening! I was once told by a wise man that salutations do not cost a dime and it is always good to share your happiness. Right now, XRP is causing some happiness and I’d like to share. That said, I hope you are doing well especially now that our beloved Ripple (XRP) is doing wonders in the market. Looking at coinmarketcap.com, XRP has done 15.11% in the last 24 hours and is trading at $0.834. Such events can make a Rippler like myself to yell like the legendary Ric Flair: Woooo! Less than 2 weeks ago, Ethereum World News ran an article about three Ripple price predictions that have been rocking the crypto-verse for the last few months. One of them was $1 per XRP by mid this year. This prediction had estimated that this value was not too far off. But due to the market action when the article was published, a lot of skepticism was rife when the article was published. However, the markets have since improved after the April 12th Bitcoin (BTC) pump of $1,000 in less than 30 minutes. What then proceeded is that the entire market responded to this pump, and so did Ripple (XRP). Before the said BTC pump, Ripple was trading at $0.51 on the 12th. The current price of $0.83 is almost double this price and an increment of 62.74%. 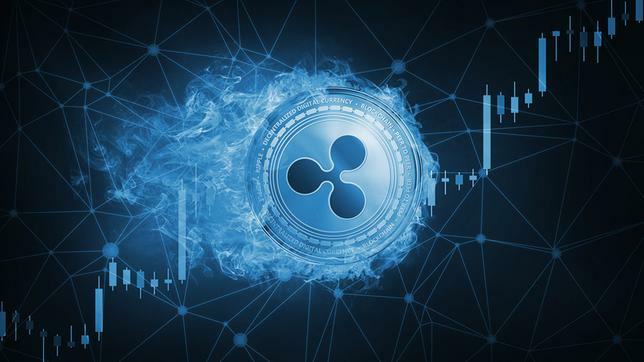 This means that Ripple has done an average jump of 7.84% per day and using the $0.51 value as a base for the calculations. This means $1 per XRP will be reached in less than 5 days if the momentum is kept going as we proceed into the weekend. Weekends, and particular Sunday’s, are always volatile for the Crypto markets. The total market volume never seems to be stable on Sundays a per my observation and since the markets started dipping after Christmas last year. One theory I have is that the traders are resting on Sundays and not in front of their office or home computers. In conclusion, XRP seems to be proving the critics wrong with the current rally in the market that was ignited on the 12th of April by a very resurgent Bitcoin. What remains to be seen is when the $1 per XRP will be reached in the next few days or weeks. One thing is for sure, HODLing XRP is not a bad idea.